Bakery Traveler World Tour: Tomorrow (Aug 1, 2012)!! 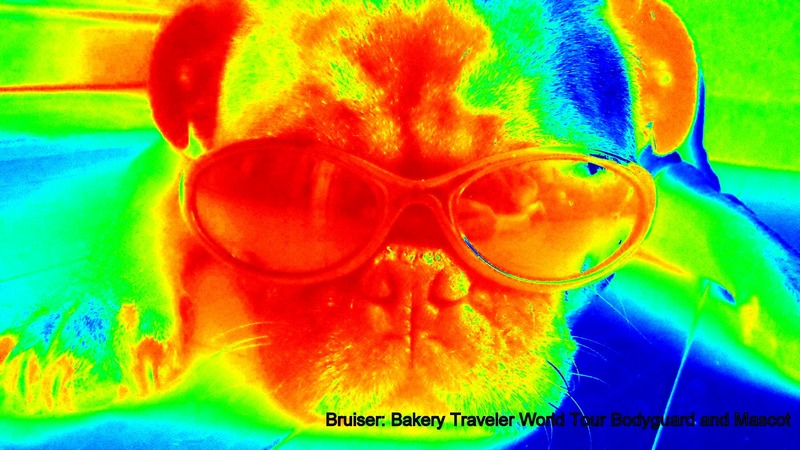 Meet Bruiser - my Bakery Traveler World Tour Bodyguard and Mascot. He's loyal, protective, and quick to bark (er, speak-up) when he deems necessary. His bags are packed and he's ready for the jet lag. The tour begins tomorrow (August 1, 2012). I'm excited to share the journey with you. Given how I love desserts and England (at least the idea of England as have only ever been to Heathrow) -- it just doesn't seem right I didn't know all about England's "best-loved baker," Mary Berry. 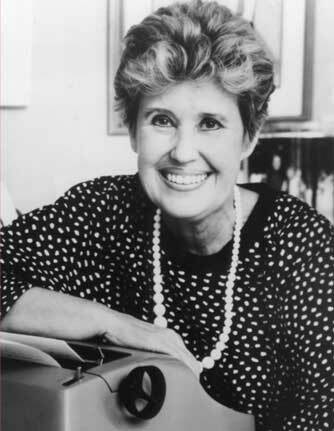 I feel like I've let my anglophile-ness down a bit because I only just learned about her. This website link below offers an arsenal of her recipes. Yes, she has her very own website, too, but I find the one below more visually appealing. 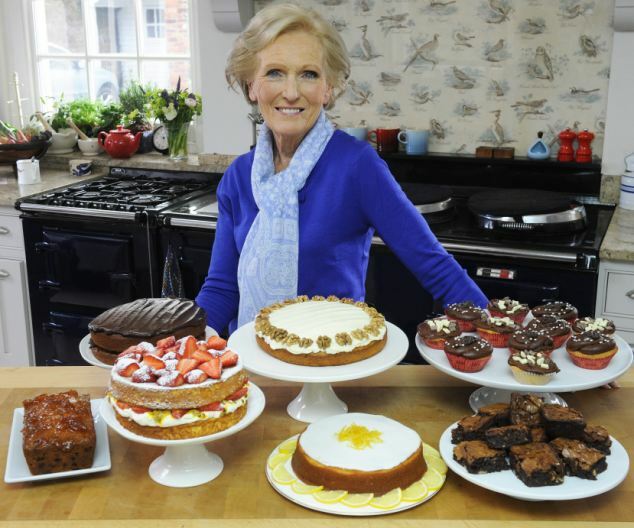 Get to know Mary Berry! Or, have you heard of her already? Do tell. Yes, But How's Their Iced Cafe Mocha? Here's the impetus for my support and encouragement for locally-owned bakeries: I grew-up in the restaurant business and know the exhausting work that goes into it. (Even then, I was partial to the sweets we sold, because they were Really Good, and I knew the baker.) I know the hard work it takes to keep a food/dining business going. Not to mention the time, the aching feet, the cranky customer now and then. 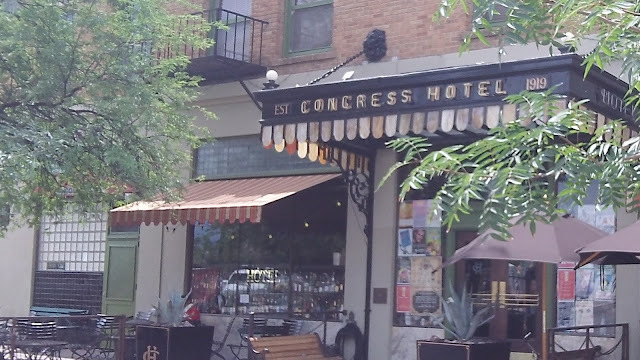 So, when I saw in the AZ REP that there are a handful of new or newish cafes (one with homemade pastries) brewing on the west side (which, trust me, might as well be the wild west of the wild west), I smiled. REALLY what makes a good coffee shop for me depends on how their Iced Cafe Mocha tastes. This is TBD as I have yet to visit these places (listed below). But now that they are on my sugar-run radar, I will! Rayner's is the one that makes its own chocolates and pastries. Join me in wishing these locally-owned cafes all the best! I just started a facebook page at The Bakery Traveler and you are welcome to join me there, too! I'll be adding a link for this facebook page soon. The above cake photo is from the Congress Hotel in Tucson where they have wonderful food (including desserts). I ate a rather sweet breakfast there (the Challah French Toast) which was delicious (see photo below). 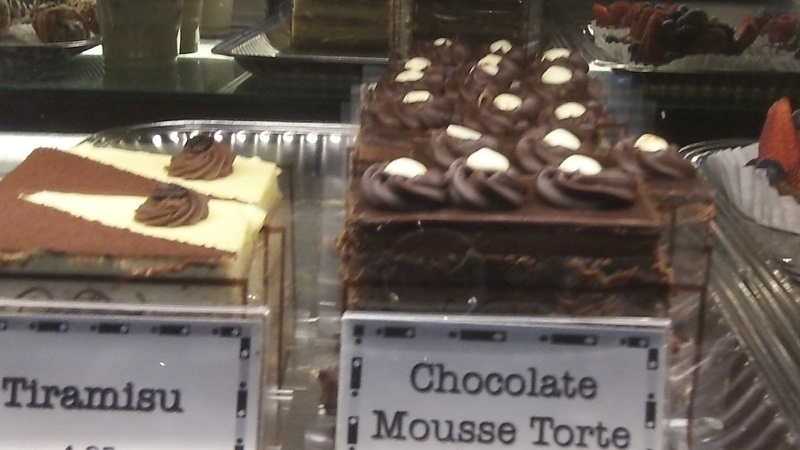 But as it's not a specific "bakery item," I didn't review it for this blog. If you look to the left of the Challah French Toast photo, you'll see the nearly empty glass of one of the best iced cafe mocha drinks I've ever had, too! Sight: Traditional Jelly-filled sugar cookies and some other cookies in one case, while a wide assortment of beautiful pastries and mousses were in another case. Towards the back were bakery-fresh white and wheat breads. Taste: The Chocolate Mousse (in an edible cup – see photo above) was light, chocolate-y, creamy, and refreshing. 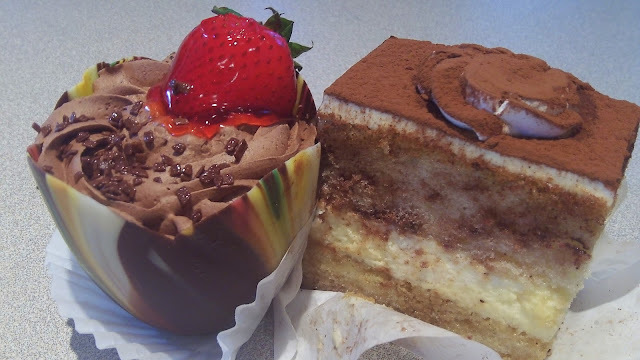 The Tiramisu (the owner/baker got the recipe from his Italian friend in Venice, Italy) was very light and also refreshing. I didn’t at first notice any of the espresso flavor while I was sampling this tall pastry (see photo above), but a few seconds later I sure did and it was the perfect little pick-me up, subtle and light. Delightful. Kid-Friendly: Eh. Order to-go and take your stuff home for your kids. You can bring the kids with you to peruse the pastry case, of course. Bakery Bonus: All items are hand made on premises, and they are really beautiful. Costs: Starting at about $2-$3 for gorgeous, truly European pastries. Talk about a gem. What is a "jumbleberry" you ask? Well, in Nigella Lawson's recipe (below), jumbleberry refers to mixed summer fruits...even frozen ones, and this seems very appealing right now. I would like to be friends with the English chef and "domestic goddess" Nigella Lawson. Many of her recipes hint that she goes on amazing vacations, and I'll bet I could tag along on her yacht, and she would think I was just the best guest ever. Nonetheless, I chose this particular Very English-sounding one to share because it's bound to have festive variety-of-berries colors in it (in honor of the Olympics and all the countries recognized there) and be a refreshing dessert (in honor of the summer heat). 3. Sight: Over 30 varieties of breads displayed on rustic-looking wood shelves ready for purchase. Countless pastries lit up like a holiday in the chilled glass cases. 4. Aroma: Busy place as is part restaurant and part bakery, and yet not one area is less than the other. This place is more an atmosphere than an aroma. Beyond Bread has a perfect balance of eat-in meals (sandwiches and the like) and breads/pastries for eat-in or to go. 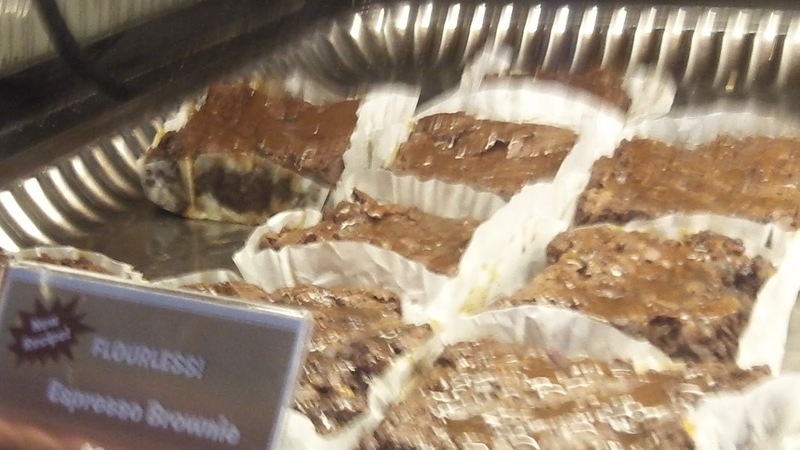 First, the Flourless Espresso Brownie was to die for! Dense, decadent, rich, chocolate-y, walnut-y and big enough to pace yourself over for a few days or share with others. Pretty flawless. My photo here was taken on the quick so doesn't do it much justice. 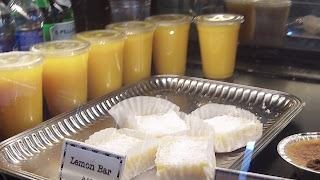 Third, the Lemon Bar. Eh. Sometimes a lemon bar is just a lemon bar, y’know? This concludes the two-part review of Beyond Bread from Tucson. My family and I would definitely return to any of the three locations again, and envy those who have such a place close to their home. 4. Aroma: This place is more busy atmosphere than aroma, and yet not one area is less than the other. Beyond Bread has a perfect balance of eat-in meals (sandwiches and the like) and breads/pastries for eat-in or to go. 5. 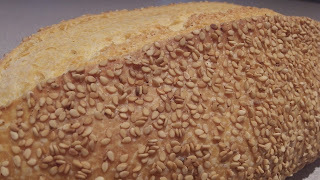 Taste: The SEMOLINA bread (my picture of it above) has a crusty exterior and soft, chewy interior. It’s an old-world kind of bread that makes you feel as though you’re sitting at a café on the Aegean Sea. 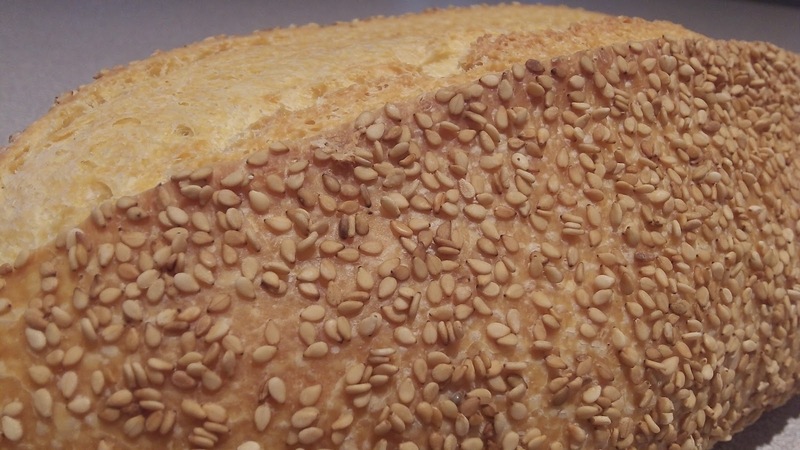 It’s a perfect bread to accompany your main meal, appetizer, or just enjoy with a slab of butter. 6. Kid-Friendly: This is a casual place for people of all ages to enjoy. Free bread samples upon entering, kid menu, and of course, sweets. Prices ranged from about $3.00 - almost $5.00 for bakery items. 7. Bakery Bonus: Are you kidding me? I'm still floored by there being over 30 kinds of breads from which to choose. 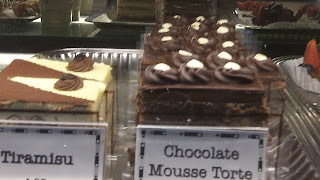 I’ll be reviewing three pastries from Beyond Bread in a Part 2 review. Stay tuned! Boil water and sugar for 5 minutes. Add pineapple and lemon juice. Cool and freeze to a mush. Add beaten egg whites and freeze. Makes 2 quarts. In honor of the upcoming Olympics in England, I'm sharing some Monday Morsels that will focus on chefs and dessert recipes from England for the next few weeks. Chocolate Fridge Cake from Jamie Oliver looks very English and refrigerator-cool. I've not tried it, but I love that the recipe includes "digestive biscuits." The mere mention of "digestive biscuits" makes me feel like I'm eating something healthy, even though I'm pretty sure I'm not. Sight: The exterior of the little historic home in Catlin Court Historic District, with its happy pastries painted on one of its sides, lets you know you’re near some joyful treats. Upon opening the door, and hearing the buzz sound that a customer has arrived, I felt as though I had walked into an historic jewel box. Given its cozy interior, you’ll find yourself among a pretty pink wall, a dainty crystal chandelier, little black iron café tables, a chilled glass case with many fresh items ready for purchase, and then the front counter itself which displays cakes, pies, bars, cake pops, petit fours. Aroma: The aroma was delicate. No scent was overpowering, and there was a slight hint of confectioner’s sugar mingling in the air. Bonus: Buttermilk Pie. Shelly makes a delicious buttermilk pie, and this is her trademark treat. She'll offer you a sample. It is a cool, refreshing treat especially welcome on a hot summer day. Kid-Friendly: With an upcoming cookie decorating event and the pirate and princess cake pops on display, this felt like a definite kid-friendly place. I brought home a rice krispie, chocolate, marshmallow, peanut butter, and chocolate brownie bar for my kids to share for dessert after their dinner. These bars are large enough to share. They LOVED this decadent, dense, multi-flavorful bar. Our after dinner dessert conversation brought on a lovely discussion about the importance of peanut butter and rice krispies for the kid in all of us. Cost: About $3.25-$3.75 for each item. This review is also on Urbanspoon. I'm so excited about all the bountiful posts headed your way about local and international sweets and breads. Happily, I've been busy planning out many paths for this blog to take. Ahhhh, to be at the beginning of an adventure. I'm delighted you can join me! Pack your bags and bring your sweet-tooth. What is Shift Arizona? The idea is when you make a local shift where you shop, then you help provide a big lift for your community. Shift 10% of your local spending to a local business and you'll improve your local community. Check-out their website: ShiftArizona.com. Looking for a reason to indulge in a bakery run? Celebrate National Sugar Cookie Day today by visiting one of your near-by local bakeries to try their sugar cookies. 1. Sight...Is there a proud presentation of the pastries? 2. Aroma...Do fresh baked goods fill the air? 3. Taste...How do these treats taste anyway? Are they good/wholesome/decadent...or stale? 4. Kid-Friendly Staff...I want to pass on my fond memories to my little ones, and make new memories along the way. 5. Bakery Bonus...What makes this bakery stand apart from the rest? Cake. When I was a little girl, my mom would take me to the local bakery and have me choose a cake for my birthday party. I don't remember my party (or parties) at all. But I do remember the little journeys we took to the bakery. I remember getting into the car to drive to this small, sweet place of good people. I remember the store-front parking and the slightly steamed windows that looked into the bakery. I remember the sound of the little bell that jingled signaling our arrival as we opened the door. I remember the fresh-baked aroma of giant circle cookies as they cooled off on trays on the counters. I remember looking at the cakes on display, specifically, the tiered, round white icing cakes, with delicate, pretty yellow, red, and pink roses piped on their smooth surfaces. I would choose exactly this kind of cake, shyly speaking to the baker herself. Ever since, be the event a very special occasion or simply an after school treat made directly from a box, I have understood cake. It's not some escape for me, it's not that life is uncertain - so eat dessert first (although why argue with this?). Nope, it's cake - made from people who love to bake for people who appreciate their efforts and sing their praises. Love what we do, do what we love. Cake. I'd like to explore the world one bakery at a time, and have decided I will start in my own backyard. I've been wanting to do this for a long while. In fact, I pretty much do this, actually (visit locally-owned bakeries) as often as I can. I just figured I'd share my Very Important travels (be they of the armchair variety or the more actual traveling kind) with those who understand how important bakeries are to the world. I wonder if "bakery" is the first word that comes to mind when you think of Phoenix? While it's hot enough to bake on the sidewalk right now, I'll venture to guess you may not know that this part of the wild west is home to many hardworking and wonderful locally-owned bakeries. Join me as I embark on celebrating the sweetness of life wherever I travel.